Another detainee stuck in limbo in Guantanamo Bay for over a decade has tried to kill himself in solitary confinement, after being on a desperate hunger strike for 43 days, his lawyer told US media. The 48-year-old Tunisian prisoner, Adel Bin Ahmed Bin Ibrahim Hkiml, has been held at the notorious detention facility for more than 11 years, and kept in solitary confinement since March. His lawyer Cori Crider spoke with the Huffington Post regarding Hkiml’s suicide attempt after being informed via a letter dated March 19 that was just cleared for publication. The inmate who wrote the letter informing Hkiml’s lawyer of his suicide attempt, explaining that he was unaware of his current whereabouts after he had been taken away by ambulance, and did not know whether he had survived at all. "I haven't seen [Hikmil] in a while. I haven't been able to talk to him," Crider told HuffPost. "But he had a really hard time back in Kandahar back in the days, and I think was never really the same." Human rights organizations have reported hundreds of suicide attempts, at least seven of which were successful. 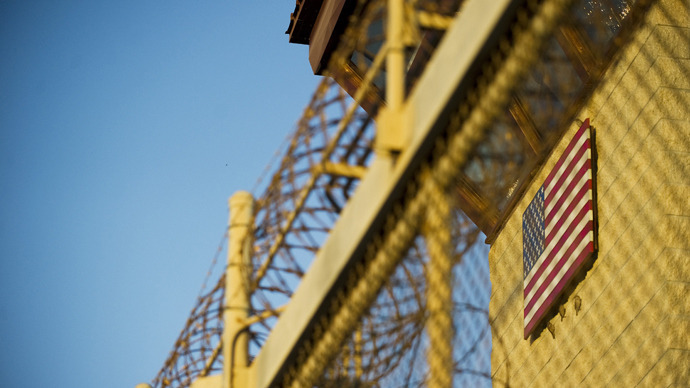 Last September, a Yemeni detainee took his life after spending more than a decade at Guantanamo where he reportedly went on hunger strike a number of times. Adnan Latif had been cleared for transfer by both the Bush and Obama administrations, but was never released. Crider told AP she had been notified by the Department of Justice last week that Samir Naji al Hasan Mukbel, who is also her client, was being force-fed. His fellow detainees said the man suffered a minor heart attack while being force-fed on March 19. "Some people have gone through this a lot but he said he had never felt anything like it in his life," Crider said after talking to the detainee over the phone. Mukbel reportedly told his lawyer that he joined the hunger strike back in February, lost over 10 kilograms in weight, and had to be taken to hospital after he fainted. 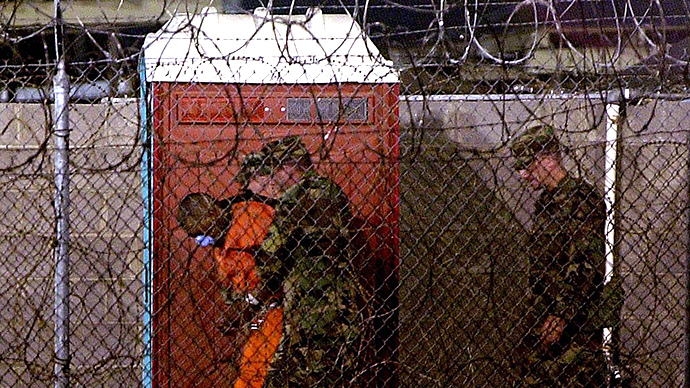 US officials have only recently begun naming those Guantanamo prisoners who are being force-fed to stop them from starving to death. According to lawyers, over 100 prisoners are taking part in the life-threatening hunger strike. The Center for Constitutional Rights claims that 130 detainees are involved in the mass protest over their treatment and conditions at the prison, while officials put the number at 42. The collective hunger strike was initially triggered by the prison staff’s seizure of inmates' personal belongings, such as photographs and mail, as well as the allegedly sacrilegious handling of their Korans during searches of their cells, the inmates said. 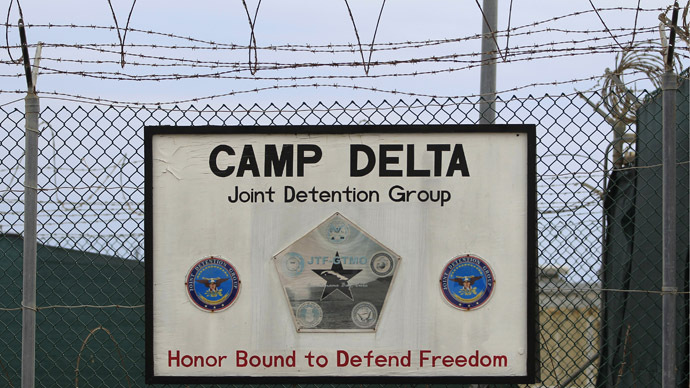 On April 5, UN human rights chief Navi Pillay described Washington’s failure to close Guantanamo and release indefinitely held detainees as a “clear breach of international law,” adding that the ongoing hunger strike is a “desperate” but “scarcely surprising” act. The detention camp in eastern Cuba reportedly currently holds 166 men seized in counterterrorism operations, most of who have been held without charge for a decade. Although Barack Obama promised to shut down the facility at the beginning of his first term as president, the facility remains open. Earlier this week, RT was placed in a queue for media visits to the prison. "Currently, we are not scheduling media visits because we have military commissions from April 15-26. Your request has been noted and you are in the queue for a media visit as first available. Your organization is ninth on the list of requests," Guantanamo Media Relations Officer Malisa Hamper replied in a letter to RT. Street protests are planned on Thursday across the US in support of the Guantanamo inmates, and to push for the notorious facility to be shut down.